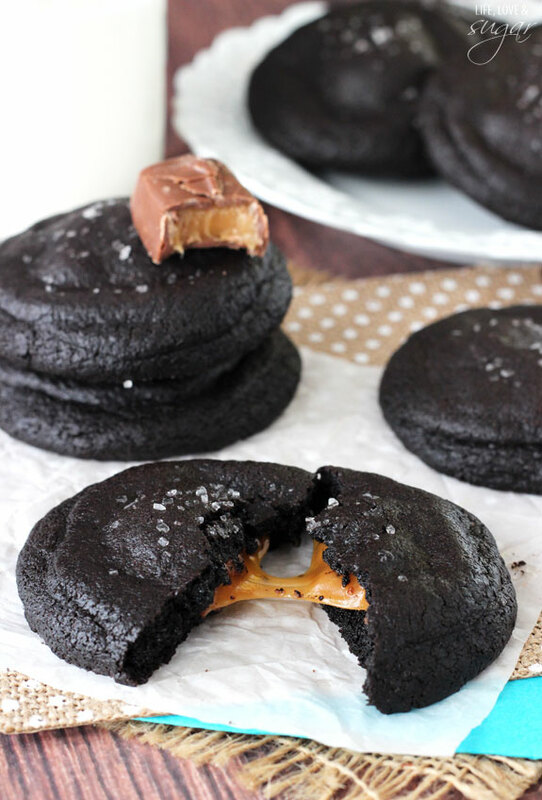 These Salted Caramel Stuffed Chocolate Cookies are to die for! 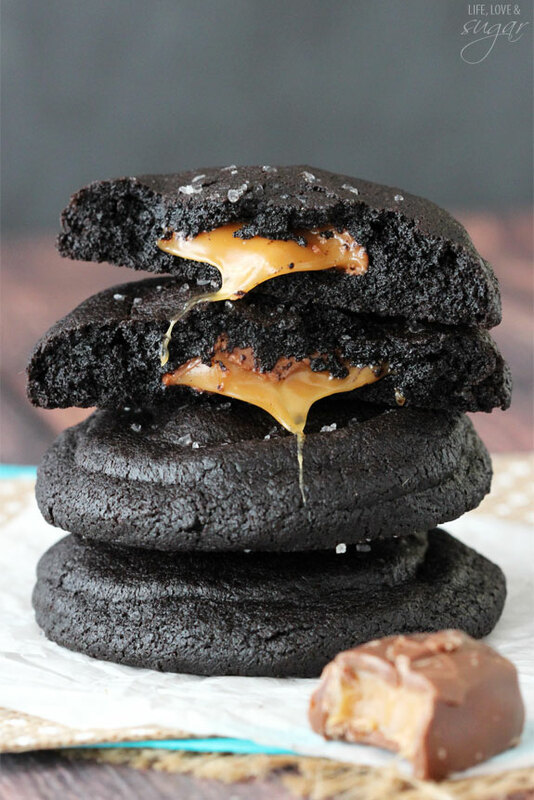 A dark chocolate cookie is stuffed with half of a Simply Caramel Milky Way, then sprinkled with sea salt. So yesterday the hubs and I finally got around to starting to stain our fence that was installed in January. We’d waited for it to warm up and finally stop raining, so now it’s time. And it is going to be a big job. Like whoa. We got a quote for someone to do it for us and decided to do it ourselves. With the expense of our upcoming trip to South Africa, we decided to save a little, but it’s going to take several weekends. It’s a pretty big fence. I do love the color we picked though and I can’t wait to see it done. The only thing is, now that it’s warm, we aren’t the only ones to come out of hiding. The bugs are out in force. And they were toying with us. First, I was sitting and eating lunch outside while the hubs painted and a wasp came around. Jessie was sitting next to me (duh, there was food) and she all of a sudden snapped at it! She hates the buzzing of bees and wasps. Hates it. We’ll be on a walk and she’ll stop right in the middle of walking to snap at a bee. It always freaks me out because if she misses and pisses it off, it might come for me. I would not be happy. She managed to get the wasp this time, but it wasn’t hurt and flew off. So I started screaming. Not like a crazy scream, but an “oh, crap! The wasp is going to come back and sting me” scream. It didn’t though. We survived. Then a few minutes later, it looked like the hubs was having a seizure as he thrashed around – paint brush in hand. Some crazy critter had ATTACKED! He survived. Then, I was painting the fence and heard a bug and lifted my arm with the paint brush up to swat at it. All of sudden I felt several things hit my arm and I screamed like mad thinking it was bugs! Scared the crap out of the hubs! But it was just paint dripping from my brush onto my arm. 🙂 Oops. Clearly I was jumpy. Too many bugs – and I don’t do bugs. Shortly after that I went back inside and baked. I need full body armor next time. While I actually like helping with stuff like painting the fence (I’m weird, I know), it’s much safer inside making things like these cookies. They are so yummy! They are made with my usual chocolate cookie base. They are soft, chewy and so chocolatey. I stuffed them with half of a caramel filled milky way. A full milky way is a little big. I actually tried using Dove caramels first, but I didn’t care much for the way they melted in the cookie. The milky way was much better. I’d think Rolos would also work well, but may be be a little smaller. 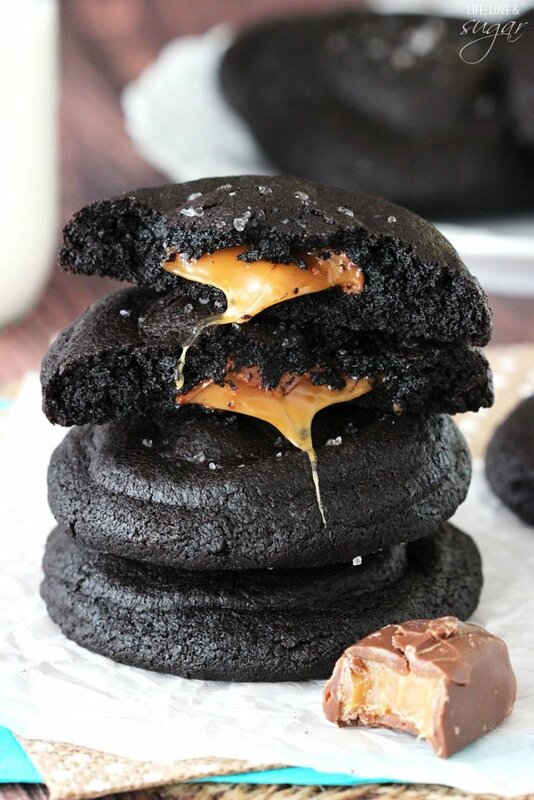 To add the candy bar to the cookie, make your ball of dough (about 2 tbsp in size), break it in half and sandwich the candy between the dough. Press the edges of the dough together, sealing the candy inside. Place the balls of dough onto a cookie sheet lined with either parchment paper or a silicone baking mat. I personally love silicone baking mats because they are reusable. Sprinkle a little sea salt on top and bake! Don’t pass on the sea salt – it adds a whole lot of fun. My mom was super excited when she bit into these and tasted the salt. She couldn’t believe how awesome a little sprinkle of salt made a cookie. These cookies are the jam! So good! And they are especially delicious warm. 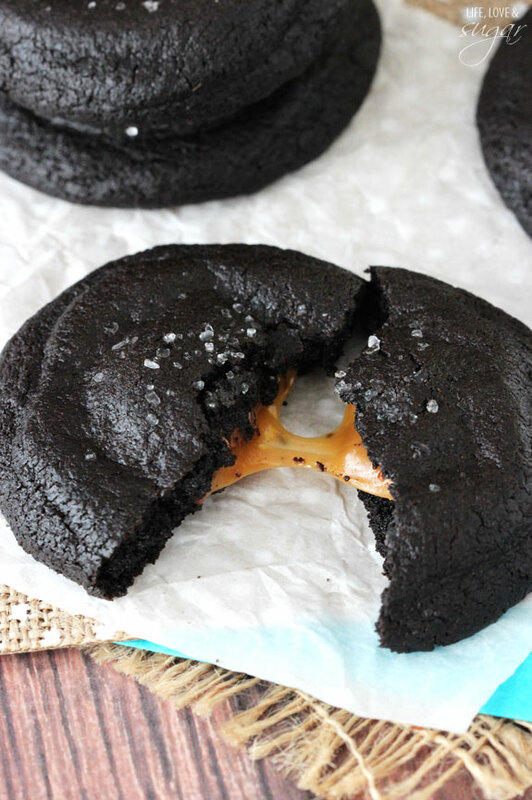 A warm chocolate cookie with melted caramel inside, and a little sea salt. Yum! Put a fork in me, I’m done. 4. Add flour, cocoa and baking soda and mix until well incorporated and thick. 5. Make balls of cook dough about 2 tbsp in size. 6. Break balls of dough in half, add candy bar to the middle, then press dough halves back together and seal edges. 7. Place cookies on a parchment or silicone baking mat lined cookie sheet and sprinkle with sea salt. 8. Bake for 8-10 minutes. Center might look a little undercooked, but edges should be done. 9. Remove cookies from oven and allow to cool for 2-3 minutes, the remove to cooling rack to cool completely. These cookies look soooooo tempting! My husband is terrified of bugs. He thrashes and does very odd dance moves to get away from them all summer long. Sounds like that fence is a project! These cookies have much better instant gratification! You remind me of myself 🙂 Sometimes I think my own hair is a spider crawling on my back!! We stained out deck yesterday so I can completely relate. I had a huge board bee hanging out with me most of the day. These cookies sounds delightful. 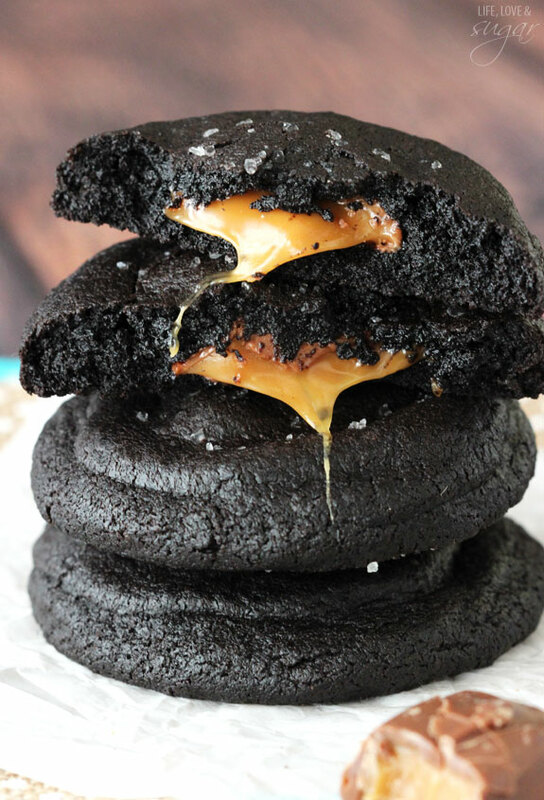 Love how dark they are and all that gooey caramel has me drooling. Oh my gosh – laughed out loud at that story 🙂 I’ve had that happen before and my husband cracks up at my bug “dance”. Way back when my sister and I were collecting for the paper we delivered. It was at night and we thought we were being followed. We ran for our lives. After calming down at home we couldn’t stop laughing because we realized it was our own flip flops! I made 2 of your recipes this past week (No Bake Funfetti Cheesecake and your Chocolate Nutella Cake. Both were big hits. I can’t wait to try these cookies. Oh my gosh, these cookies have my name written ALL over them. And that dark cocoa? And that drippy caramel? They look irresistible!! Gosh I HATE bugs but I LOVE THESE!!! Oh wow, these look so dark, intense and rich!! 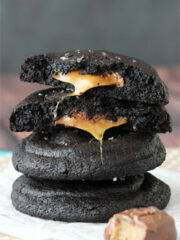 And that gooey centre, oh my – I need these! NOM NOM NOM. 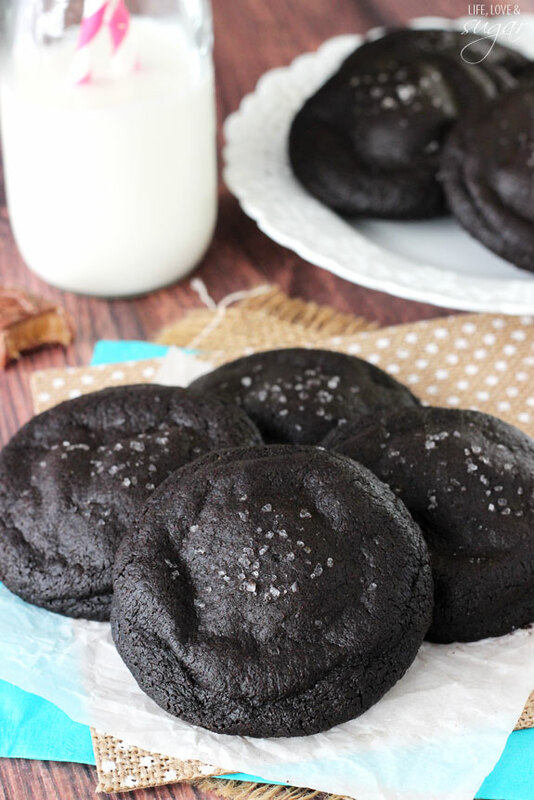 I am LOVING the dark chocolate cookies! Do you use half of a full size candy bar, or a fun size? It just seemed like a full size might be a little big but i’m not sure. Thanks! Yes, it’s the fun size candy bars. I added that note. Thanks Sophie! I am so glad you survived the wasp incident and lived to tell about it! Won’t Jessie get stung in her mouth if she does catch it!? I am drooling over these cookies!! I wish I had about 5 right now! 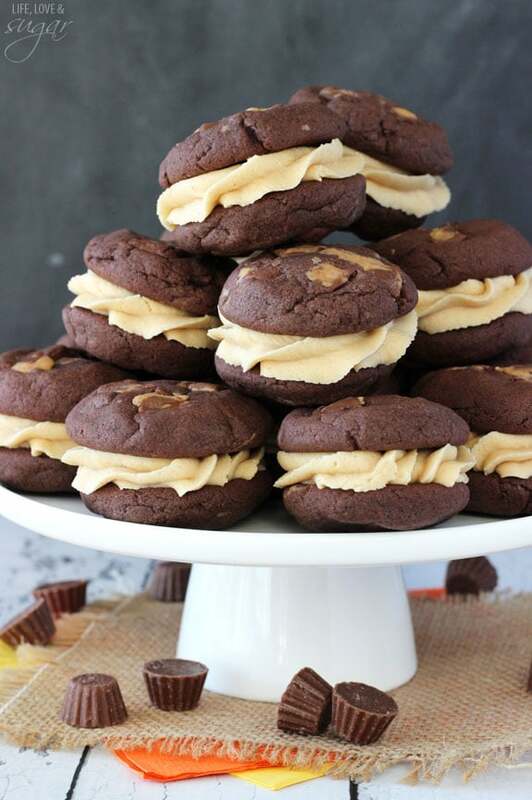 Salted caramel and chocolate cookies sound pretty much perfect right now! I’ve wondered the same about Jessie getting stung, but I don’t know. I’m not sure she’d feel it. If she’s been stung before, it doesn’t seem to stop her. Yum yum yum! 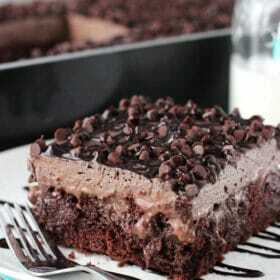 This looks so so good! Anything with caramel in it catches my eye! I love that you paired it with sea salt too! Sounds so good! 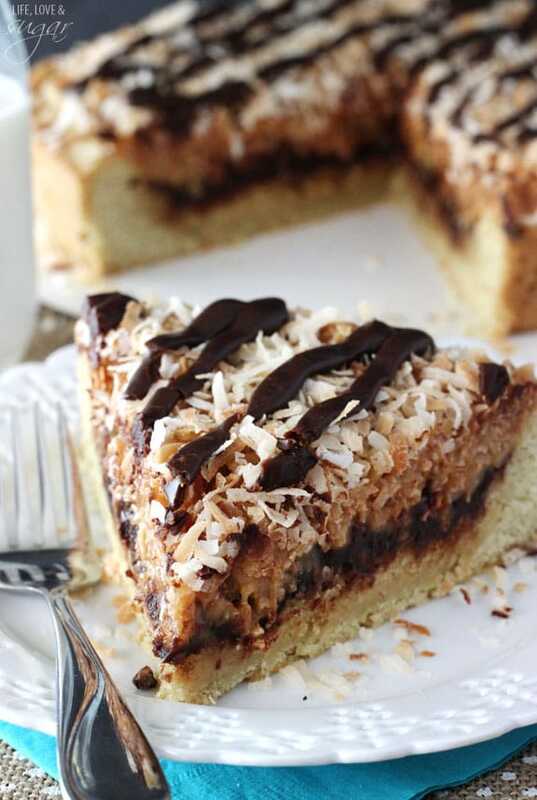 i am pinning this recipe to try later! Thanks for sharing! Wow! Such a nice blog! So tempted. And I’m not even a sweet tooth! What difference does salted butter make? You will want to have salt in the recipe one way or another for flavor. If you prefer unsalted butter, just add salt separately. Does that answer your question? I would think soft caramels should ok. Do you have Rolos there? They’d work as well. 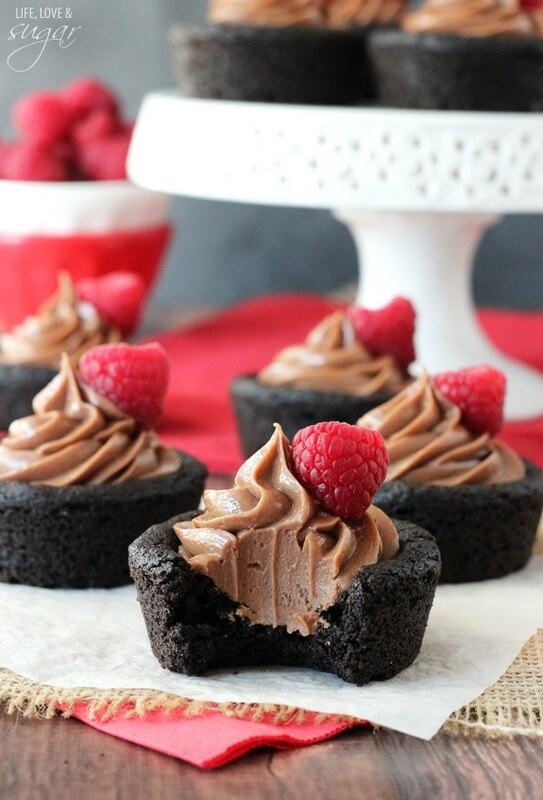 I made these a few weeks ago and they were so easy and absolutely divine! I just finished baking these! And OMG they turned out so so so delicious! They’re a surprise for my dad and I know he’s going to love them! Thanks for the amazing recipe! 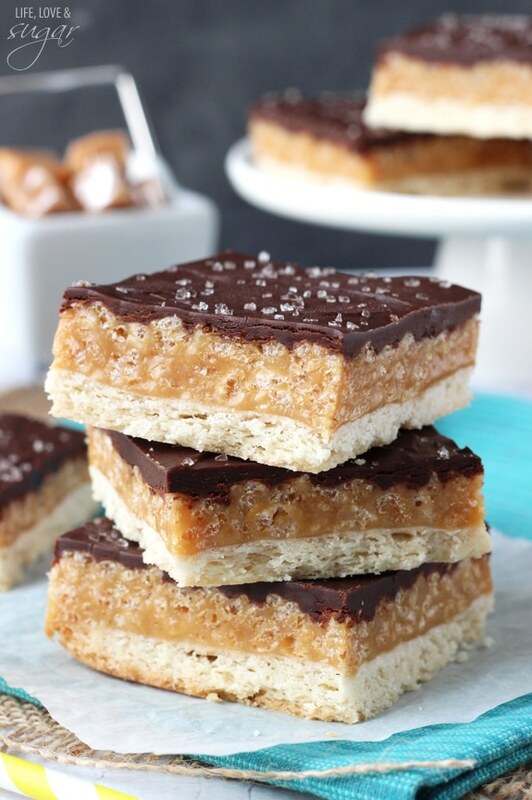 Lindsay- I’ve made these several times and they are fantastic! 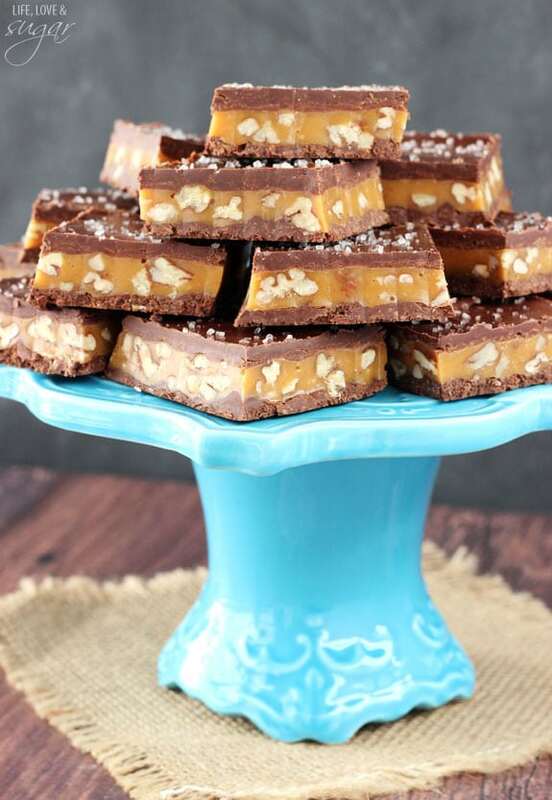 The taste is amazing, I use rolos, which work well in the middle. I have one question- every time I make them, they flatten out very quickly and end up looking SUPER flat, with the bump in the middle. (Still delicious though!) Is there a trick that you’d recommend to maybe make the cookies not flatten out as much- adding in a little more flour? Baking powder? Chilling the dough? You could try chilling the dough. I would also check to make sure your baking soda is in date and that they are fully cooked before you take them out. If they are too undercooked that could make them fall. Is the dough supposed to be chilled before cooking? My cookies turned out flat. You certainly could chill the dough, but the recipe doesn’t call for it. It’s hard to say why they may have turned out flat. It could be something about measuring the ingredients, or even if they were a little undercooked they could fall as they cool. Extremely delicious! I love the gooey center. How do you get them so black? Is it the dark cocoa? I’ve never used the dark. These cookies are so hauntingly beautiful! Yes, it’s Hershey’s Special Dark Cocoa. I found the mixture too soft. Have added about another 1/2 cup of flour but still pretty soft. I’m going to put in the fridge for about 20 minutes to see what happens. Really want to try this recipe! Though, beginner’s question, do they need to be eaten warm to get the proper caramel gooeyness or could they sit around for a while? That probably depends a bit on the candies you use. The Milky Ways stay nice even when sitting out. I’ve made these multiple times now, and every time people RAVE about them! They are so delicious! I’m so glad to hear that! Thanks Amanda! Just made these for a cookie exchange/competition at work. I am NOT a baker. 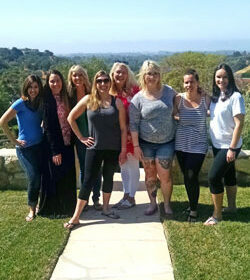 But out of 15 people, I took 2nd place with these beauties! I used Caramilk Bar squares instead, and I did add a few chocolate chips. The thing I did find was that my cookies took MUCH longer than the 8-10 minutes to cook. I was baking mine for 15-17 minutes. And yes, they taste better when warmed!